I’m sure every single one of us has screen a movie, TV show, cartoon, anime, etc. that shows a person or thing floating out in space, dead or alive. Well, guess what? That isn’t only for the movies — real astronauts also have fun floating in space, although in much more controlled activities to lower the risk of death. Today I have to share with you a photograph of just that. 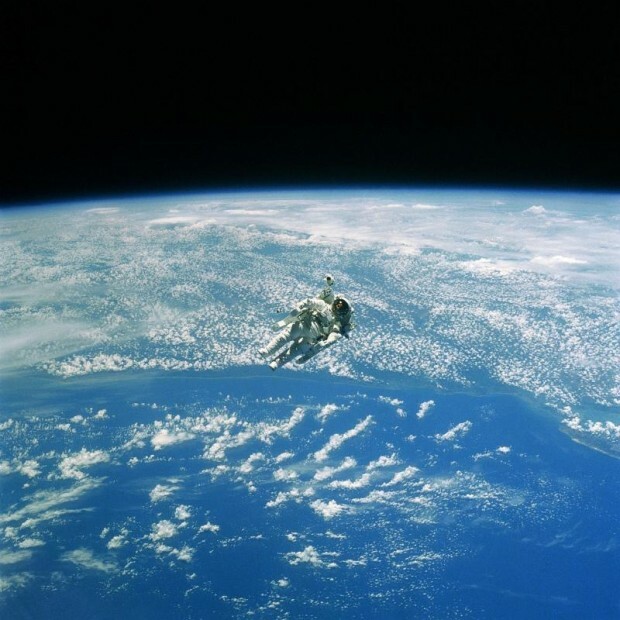 Believe it or not, that photo is of an untethered extravehicular activity that took place in 1984 — it isn’t recent.